Please refer to our Map of parking options. 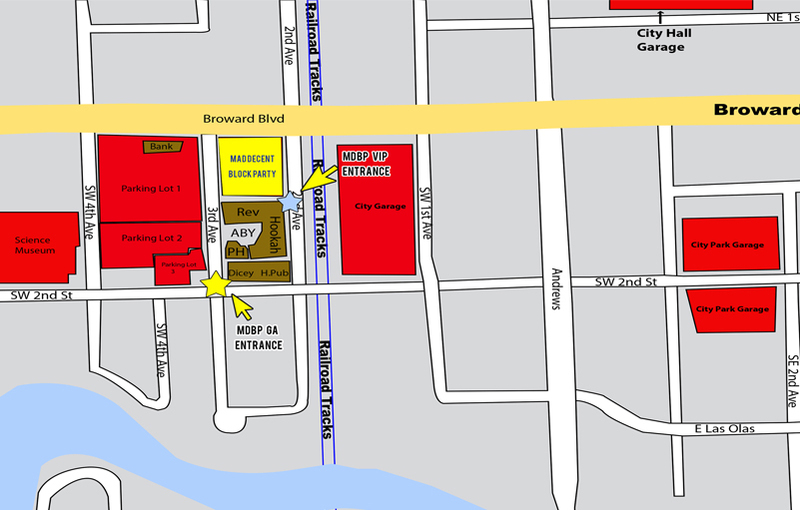 The City of Fort Lauderdale and Broward County parking garages house over 2,200 parking spaces and are within walking distance to the Mad Decent Block Party. There are also plenty of private parking lots and garages within walking distance.